We set off down the Tuichi river for a spot of rafting. At first our guides give a brief tutorial about the rafting equipment, safety and technique. After that, we start building a traditional raft like the indigenous people have done for hundreds years and then we begin our rafting adventure! The 5 rapids on the Tuichi River range from Class I-III, depending on the season. 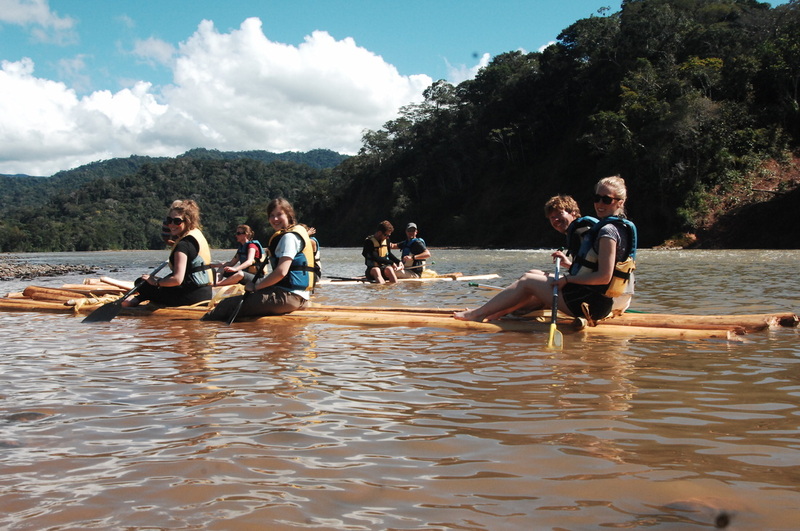 We are happy to offer a very safe and family-friendly whitewater experience, with plenty of gentle flats between the rapids to take in the Amazon rainforest's breathtaking scenery. There are plenty of opportunities to view animals along the river bank, and some of them might even join us in the water! 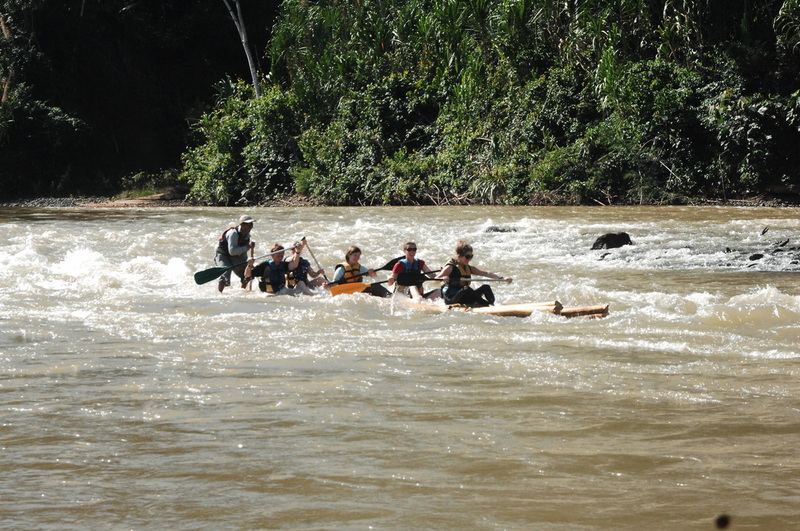 The rafting experience lasts about 3 hours and ends near the EcoCamp. Also, if the day is really hot, or just because you want to, we can swim in an Amazonian river, which is an experience that you will never forget.